Jen and I have recently been getting recipe ideas from Pinterest, which is where this little gem comes from. 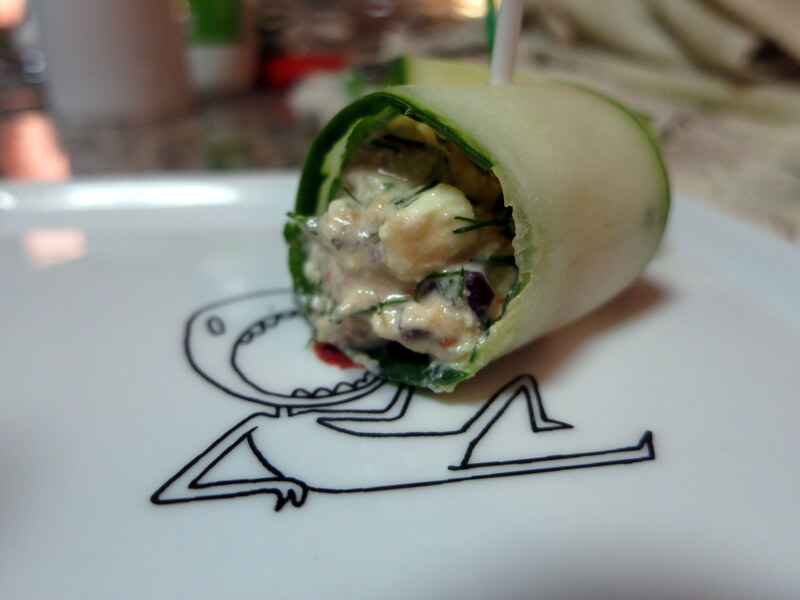 I made this appetizer for a friend’s dinner party, which almost felt like cheating because of how easy and quick it is to make (especially since our friend Iv had been laboring in the kitchen for hours). 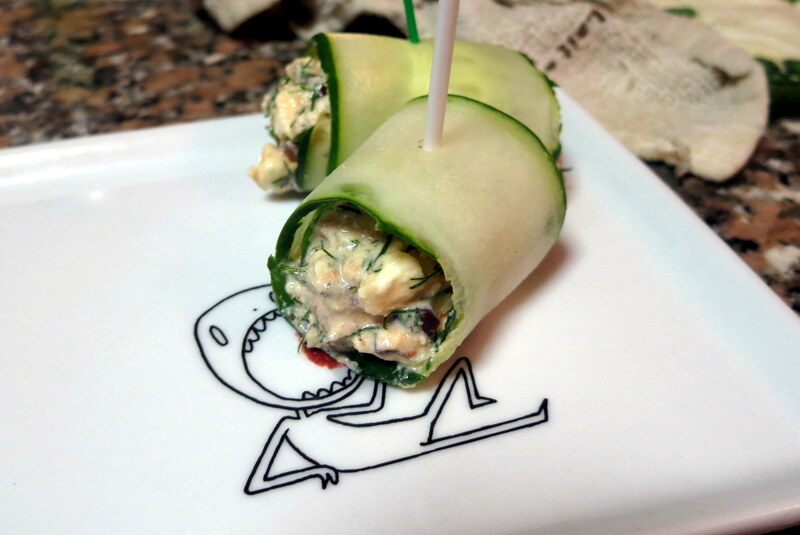 This recipe is very flexible and you can stuff the cucumber slices with just about anything. I followed the recipe I found online and just added garlic (we are obsessed with garlic), but feel free to experiment! Thinly slice the cucumbers longways on a mandoline at a 2mm thick setting. Alternatively, you can use a vegetable peeler if you do not have a mandoline. I just used a peeler, so my slices were a bit thinner and flimsier. 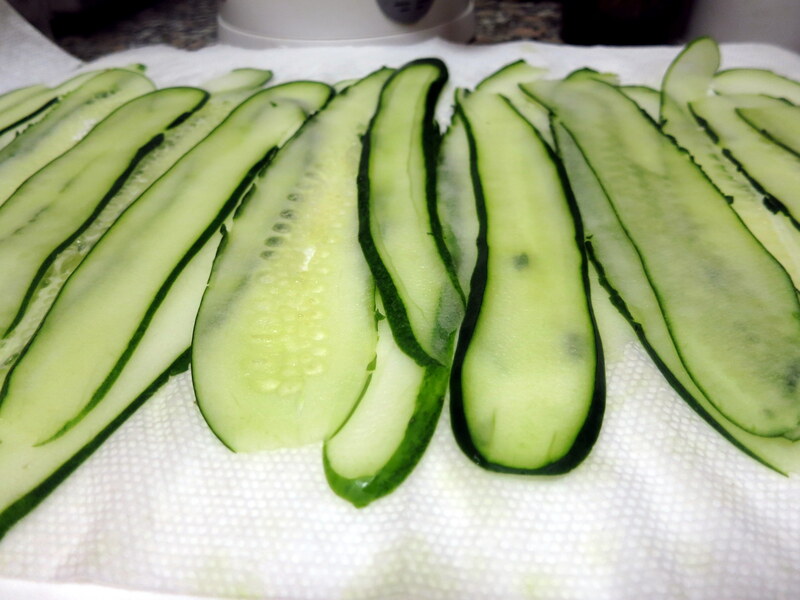 Lay the cucumbers on top of a paper towel lined cutting board while you prepare the filling. 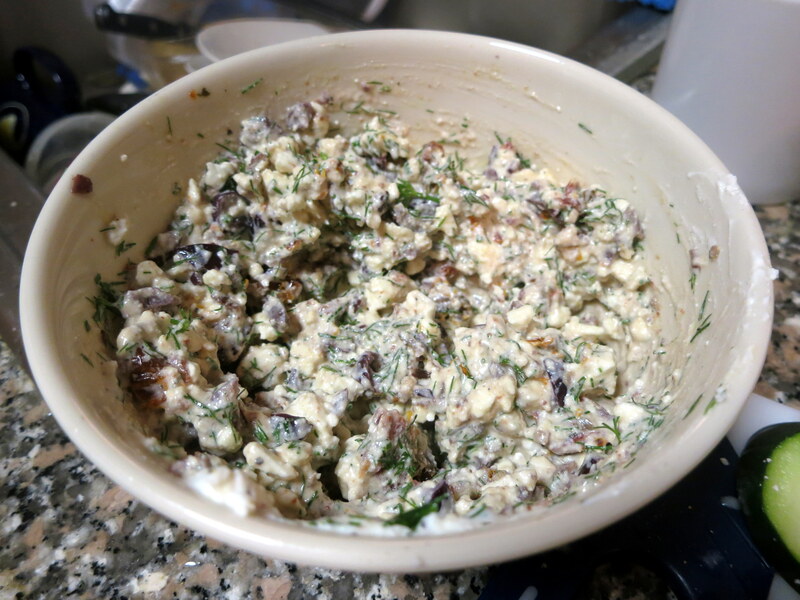 Add the feta and yogurt to a medium bowl. Mash to combine using a fork. Add the bell pepper or sun dried tomatoes, olives, dill, lemon, and pepper to the bowl. Stir well to combine.